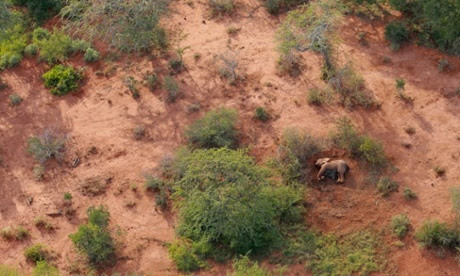 Six elephants were killed by poachers in a Kenyan national park last week, including four calves, one of which was so young it did not have tusks. Three suspects have since been arrested. 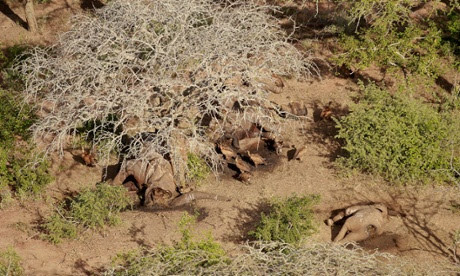 The incident in Tsavo East national park on Thursday, described by conservationists as demonstrating the "inhumanity" of the illegal wildlife trade, is part of a wider wave of animal deaths in Africa, driven primarily by demand for ivory and rhino horn from south-east Asia. More than 60 elephants have been killed in Kenya alone this year. All of the of six elephants had been shot, with two adult females having their tusks hacked out. Rangers found one calf still alive by its mother, which was later put down. Two of the juveniles were left with their four-inch tusks, one did not have tusks yet and the fourth had its face hacked off and the ivory taken. 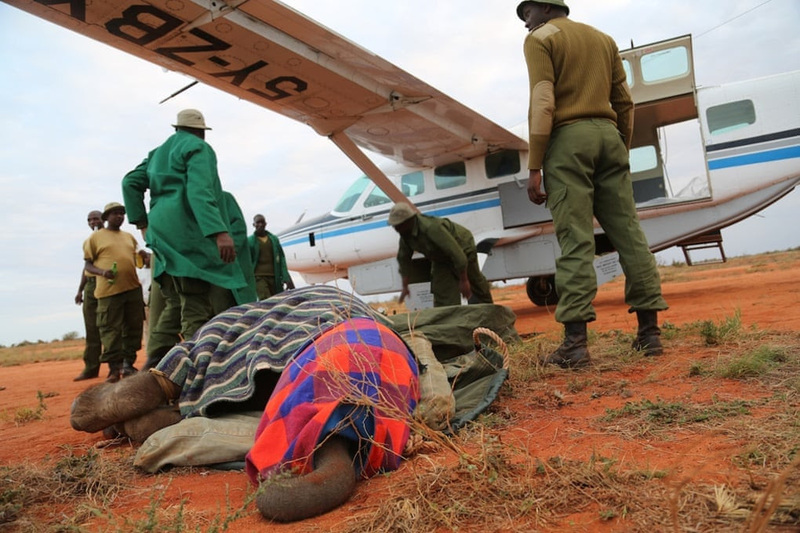 Officials from the Kenya Wildlife Service said three suspects were arrested on Saturday following a tracking operation by air and ground, during which rangers came under "heavy fire" from the poaching gang. The suspects were due in court on Monday. Ivory is believed to be worth around $2,000 on the black market, which led to around 22,000 African elephants being killed in 2012. More than 40 countries met in February in London to agree to tackle the global illegal wildlife trade, which is estimated to be worth billions of pounds a year. Rob Brandford, director of the David Sheldrick Wildlife Trust, which works in the park, said: “Yet again we are confronted by the graphic reality of a murdered family of elephants –- six members gunned down to fuel the insatiable demand for ivory that is primarily driven by countries in the far east. The greed and ignorance for life is astounding." 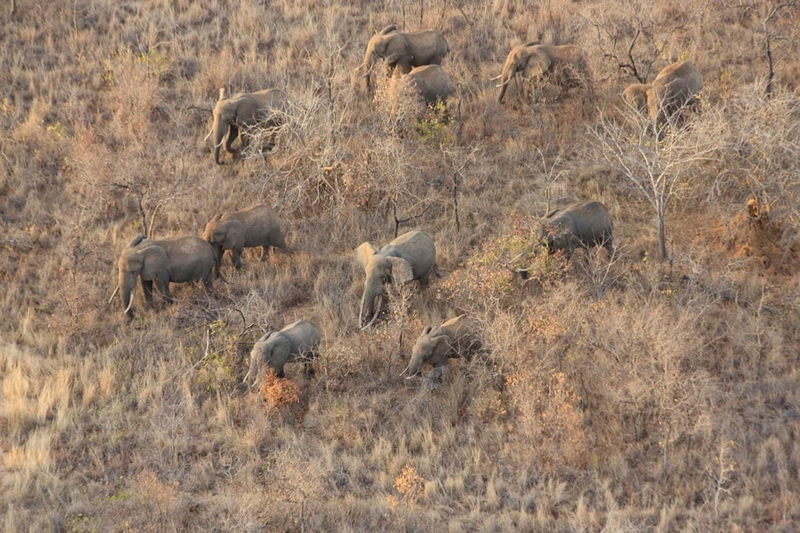 An aerial survey of the Tsavo East national park this year found it is home to around 11,000 elephants. 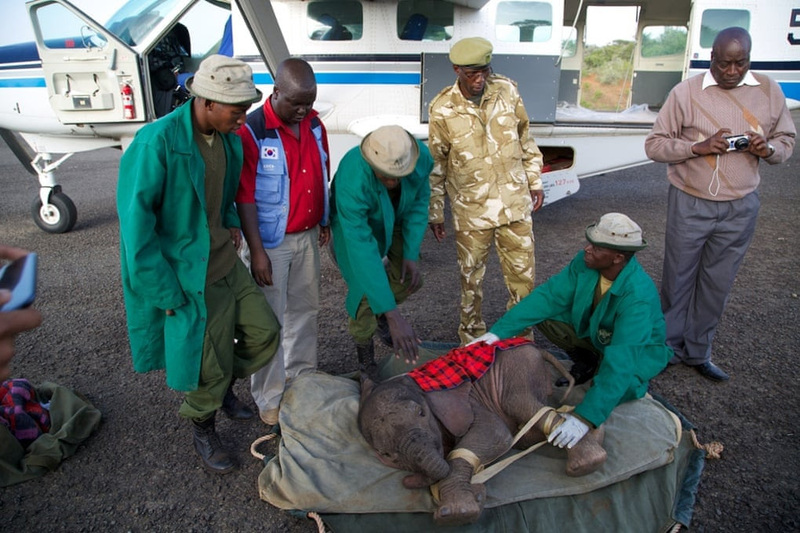 During the July to September 3-month reporting period the DSWT in partnership with the Kenya Wildlife Service and their four dedicated KWS field veterinary officers, treated 103 wildlife cases. 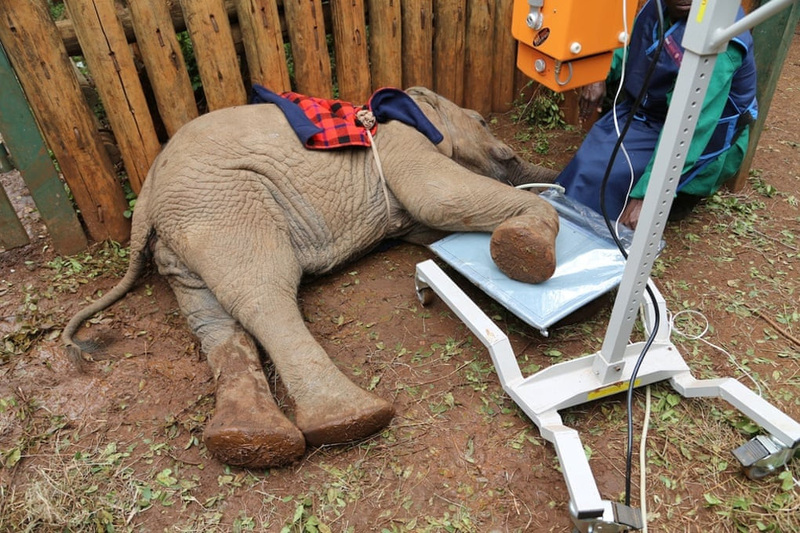 The majority of these cases treated by the Tsavo, Mara, Meru or Amboseli Veterinary Units included elephants; and out of 65 elephants treated overall, 18 were treated for poisoned arrow wounds, 13 for spear wounds, 5 for bullet wounds and 5 for snare injuries, whilst other cases included post-mortems, natural causes and non-medical cases. Other wildlife cases involved lions, black and white rhinos, buffalos and a number of other species. Out of all of these emergency operations 73% of the treatments had a successful outcome, whilst 18% of the cases were sadly reached too late to save. Those 4% of cases given a poor prognosis have been monitored by all parties involved in the operation, with one of the Mobile Veterinary Units close at hand should a follow up treatment be needed. Above and beyond these permanent mobile veterinary operations the DSWT/KWS Sky Vet program has also been active in supporting the field units when cases reported are unable to be attended. 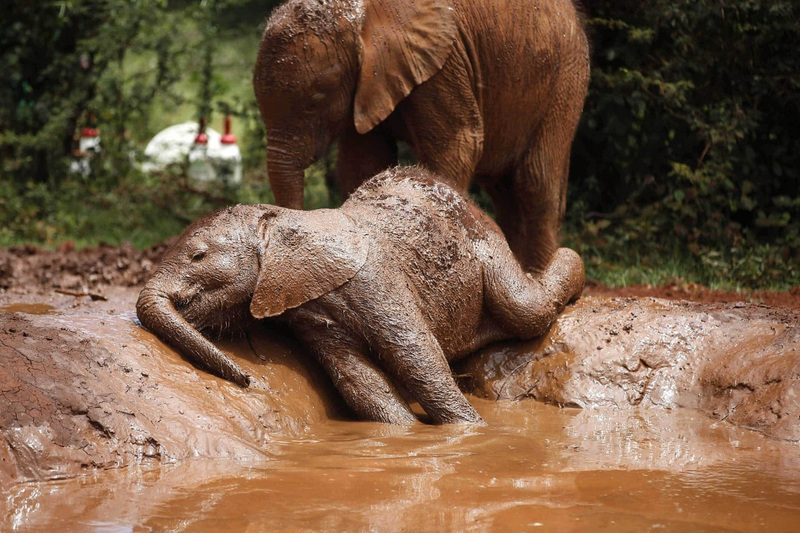 The plight of elephants has become so dire that their greatest enemy -- humans -- is also their only hope, a topsy-turvy reality that moved a woman named Daphne Sheldrick to establish the David Sheldrick Wildlife Trust's [Nairobi] Nursery -- an orphan-elephant rescue and rehabilitation center -- back in 1987. 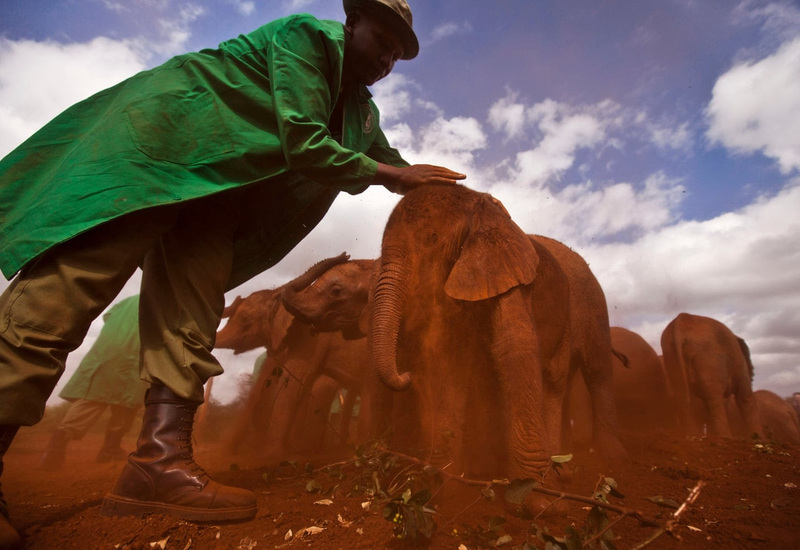 Sheldrick is fourth-generation Kenya-born and has spent the better part of her life tending wild animals. Her husband was David Sheldrick, the renowned naturalist and founding warden of Tsavo East National Park who died of a heart attack in 1977. She's reared abandoned baby buffalo, dik-diks, impalas, zebras, warthogs, and black rhinos, among others, but no creature has beguiled her more than elephants. Spend enough time around elephants and it's difficult not to anthropomorphize their behavior. "Elephants are very human animals," says Sheldrick, sitting one afternoon on the back porch of her house at the edge of the nursery grounds, the wide, acacia-dotted plains of Nairobi National Park sprawling in the distance. "Their emotions are exactly the same as ours. They've lost their families, have seen their mothers slaughtered, and they come here filled with aggression -- devastated, broken, and grieving. They suffer from nightmares and sleeplessness." What makes this particular moment in the fraught history of elephant-human relations so remarkable is that the long-accrued anecdotal evidence of the elephant's extraordinary intelligence is being borne out by science. 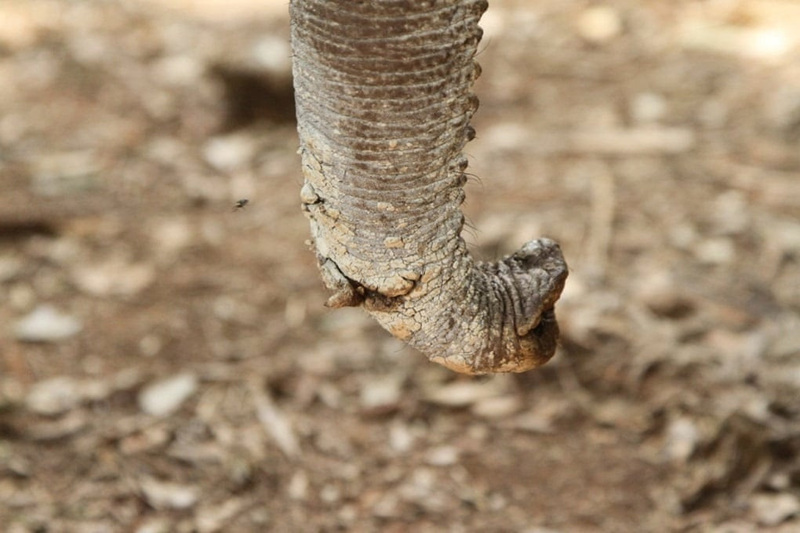 Studies show that structures in the elephant brain are strikingly similar to those in humans. MRI scans of an elephant's brain suggest a large hippocampus, the component in the mammalian brain linked to memory and an important part of its limbic system, which is involved in processing emotions. The elephant brain has also been shown to possess an abundance of the specialized neurons known as spindle cells, which are thought to be associated with self-awareness, empathy, and social awareness in humans. Elephants have even passed the mirror test of self-recognition, something only humans, and some great apes and dolphins, had been known to do. This common neurobiology has prompted some scientists to explore whether young elephants that have experienced assaults on their psyches may be exhibiting signs of post-traumatic stress disorder (PTSD), just like orphaned children in the wake of war or genocide. Gay Bradshaw, a psychologist and the director of the Kerulos Center in Oregon, has brought the latest insights from human neuroscience and psychology to bear on startling field observations of elephant behavior. She suspects that some threatened elephant populations might be suffering from chronic stress and trauma brought on by human encroachment and killing. Before the international ivory trade ban in 1989, poaching took a steep toll on many elephant populations and in some instances significantly altered their social structure because poachers tended to target older elephants. Field biologists found that the number of older matriarchs, female caregivers, and bulls in vulnerable groups had fallen drastically. In Uganda, for instance, one study reported that many females between the ages of 15 and 25 had no close family members whatsoever. In the decades since the ban, some populations have stabilized, though most elephants remain threatened by human encroachment. As poaching has flared up in the past five years in the Congo Basin and large swaths of central and eastern Africa, many elephant families there have lost most of their adult females. Where such social upheaval exists, calves are being raised by ever more inexperienced females. 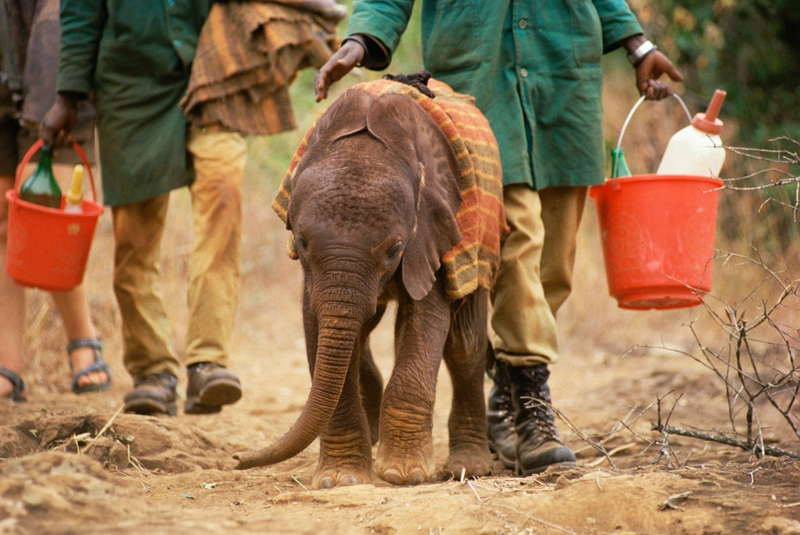 An increasing number of young orphaned elephants, many of which have witnessed the death of a parent through culling or at the hands of poachers, are coming of age in the absence of the traditional support system. "The loss of older elephants," says Bradshaw, "and the extreme psychological and physical trauma of witnessing the massacres of their family members interferes with a young elephant's normal development." Bradshaw speculates that this early trauma, combined with the breakdown in social structure, may account for some instances of aberrant elephant behavior that have been reported by field biologists. Between 1992 and 1997, for example, young male elephants in Pilanesberg Game Reserve in South Africa killed more than 40 rhinoceroses -- an unusual level of aggression -- and in some cases had attempted to mount them. The young elephants were adolescent males that had witnessed their families being shot in cullings at Kruger National Park -- sanctioned killings to keep elephant populations under control. 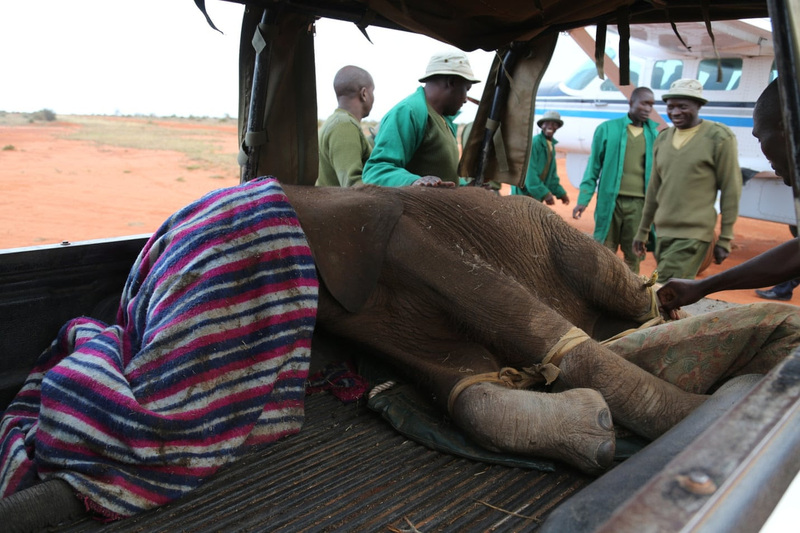 At that time it was common practice for such orphaned elephant babies to be tethered to the bodies of their dead relatives until they could be rounded up for translocation to new territories. Once moved to Pilanesberg, the orphans matured without the support of any adult males. "Young males often follow older, sexually active males around," says veteran field biologist Joyce Poole, "appearing to study what they do. These youngsters had no such role models." For Allan Schore, an expert on human trauma disorders at UCLA who has co-authored papers with Bradshaw, the behavior of these elephants conforms to a diagnosis of PTSD in humans. "A large body of research shows that the neurobiological mechanisms of attachment are found in many mammals, including humans and elephants," he explains. "The emotional relationship between the mother and her offspring impacts the wiring of the infants' developing brain. When early experiences are traumatic, there is a thinning down of the developing brain circuits, especially in areas that process emotional information and regulate stress. That means less resilience and an enduring deficit in aggression regulation, social communication, and empathy." One effort to repair the torn fabric of an elephant group lends further support to the idea that early trauma and a lack of role models can lead to aggression: After Joyce Poole suggested that park rangers in South Africa introduce six older bull elephants into Pilanesberg's population of about 85 elephants, the aberrant behavior of the marauding adolescent males -- and their premature hormonal changes -- abruptly stopped. 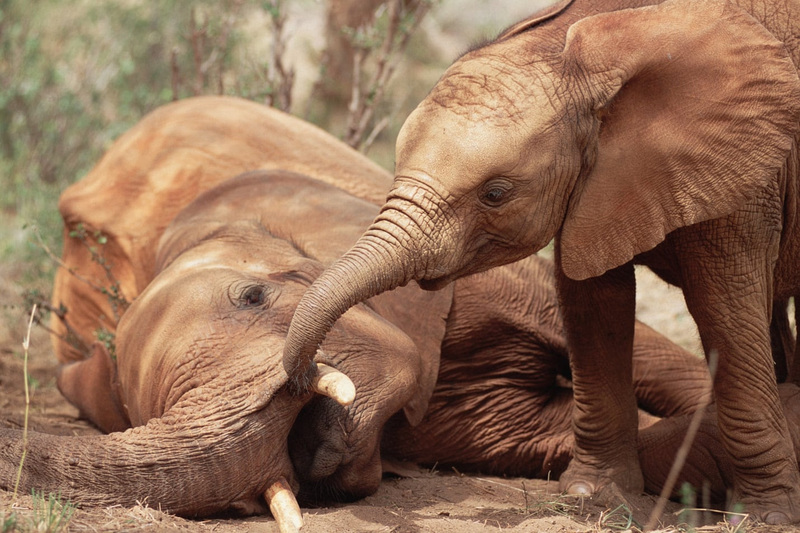 If elephants can wound like us, they can heal like us as well, perhaps more readily. 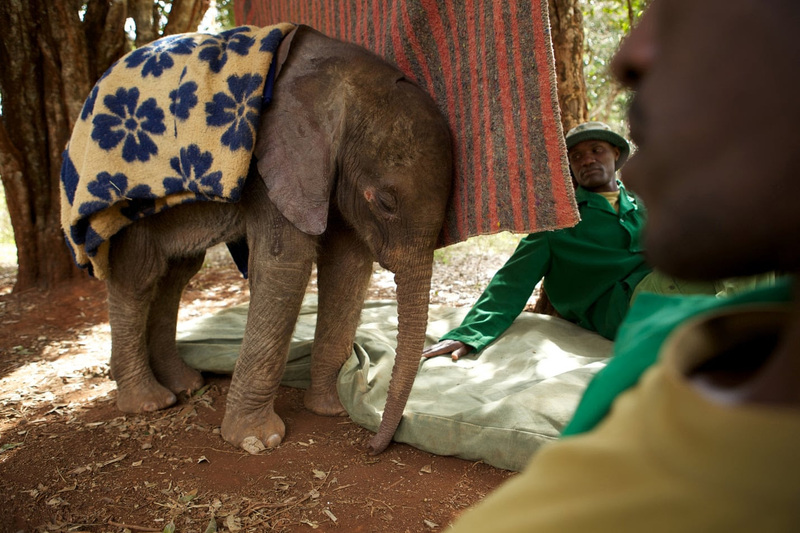 With humans acting as stand-ins for their mothers, along with the help of the other nursery elephants, the majority of the orphans that survive recover to become fully functional wild elephants again. 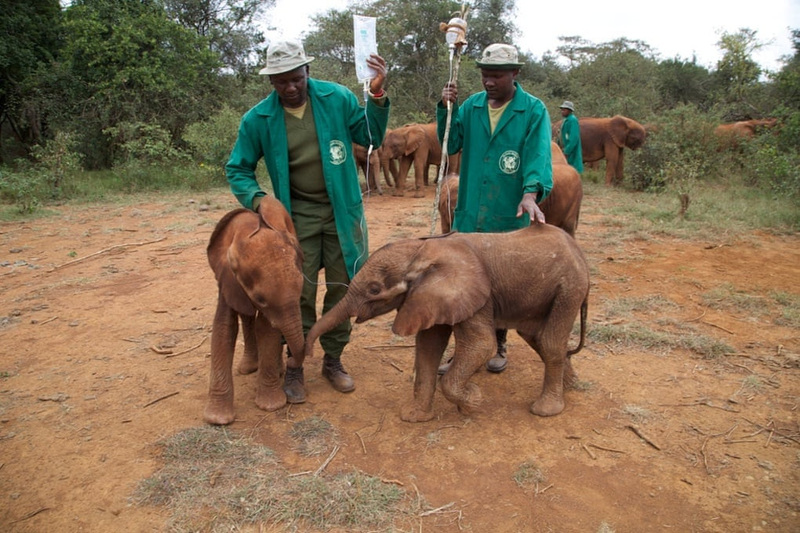 To date, Sheldrick's nursery has successfully raised more than a hundred orphan elephants. They have returned to the wild in wary, halting, half measures at first, having become "homo-pachyderms," caught between a deep devotion to their human caregivers and the irresistible call of their true selves. 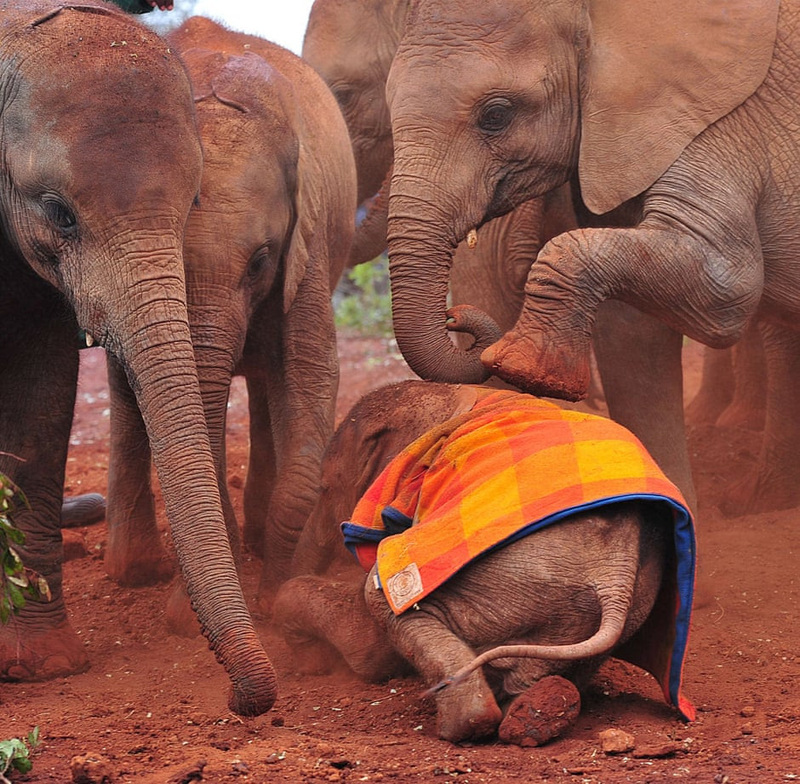 i feel as deeply moved by these elephants as i feel moved by Mercy Kennedy. and not because of any likenesses we share with Mercy or with the elephants. (and i certainly don't mean to diminish what i feel for Mercy. it shines hard, obsidian, in a crucible.) but because we, in our infinite selfishness and self concern, in the fitful and plundering ways we have interpreted our place on this earth, have perpetrated this violence ourselves. each time. I can understand on some abstract level hatred of another, for some imagined or real wrong. But I do not understand poaching. According to the World Wildlife Fund, half of all vertebrate life on the planet has vanished in the past forty years. I take that to exclude homo allegedly sapiens, who has done anything but vanish. Many thanks, all, from here in our common and collective vale of sorrow for who we are as a species, and what we've done. The fact that it became illegal 25 years ago has done little to diminish the ivory trade out of central Africa, which has caused all these terrible orphanings. In fact the volume of the traffic has increased along with the demand, in turn accelerating with consumer wealth in China, the principal market. Extermination of this magnificent animal is now nothing but a matter of time. The time it takes to complete the killing -- in that other, business sense of the term. One aspect of the tragedy of the African elephant that's particularly affecting: the actual killing is done not by the distant deep-pockets connoisseur consumer but by the same people the animal has for so long blessed with its sacred presence. The story resembles that of the sea otter, all but exterminated in the Pacific Northwest in the late 18th and early 19th centuries, with the brutal job of killing left to the local native tribes, for whom the animal had been a respected resource as well as a central spiritual / cultural symbol since before memory, and the desired parts of the animal -- in this case its particularly dense coat -- ending up as luxury garments, symbol of conspicuous consumption, among Chinese mandarins, who were pleased to pay $100 apiece for an otter skin that a trader had bought from Indians at Nootka for a few bits of copper, a nail, a button, a teapot (potlatch goods). A surge in demand for ivory in Asia is fuelling an illicit trade in elephant tusks, especially from Africa. Over the past eight years, the price of ivory has gone up from about $100 per kilogram ($100 per 2.2 pounds) to $1,800, creating a lucrative black market. Experts warn that if the trade is not stopped, elephant populations could dramatically plummet. 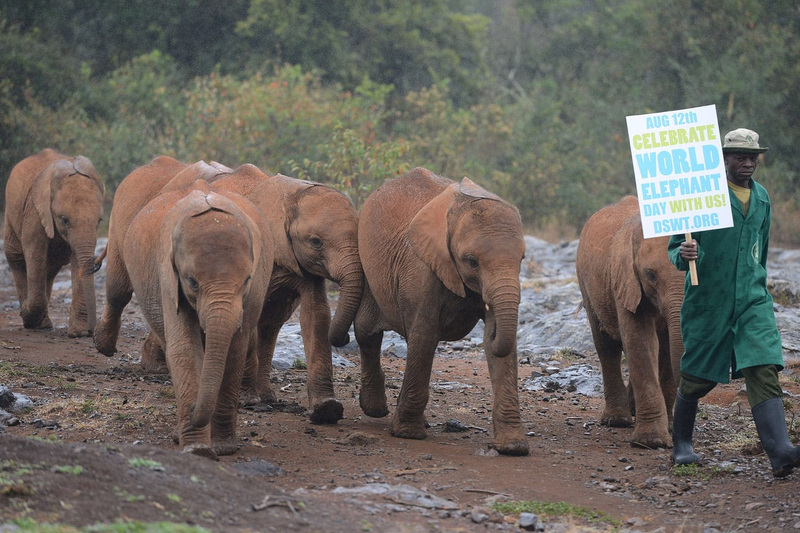 The elephants could be nearly extinct by 2020, some activists say. Sierra Leone lost its last elephants in December, and Senegal has fewer than 10 left. "If we don't get the illegal trade under control soon, elephants could be wiped out over much of Africa, making recovery next to impossible," said Samuel K. Wasser, director of the Center for Conservation Biology at the University of Washington. "The impact that loss of this keystone species would have on African ecosystems is difficult to even imagine." The primary destinations for illegal ivory have traditionally been Thailand, Japan and China, which have thriving black markets and some of the world's best ivory carvers. Thailand had three seizures last year and already had its biggest yet in February, when 2 tons of African tusks worth $3.6 million were found in containers bound for Laos. But these countries are not alone. Over the past decade, half of the largest ivory seizures took place in Hong Kong, the Philippines, Singapore, Taiwan and Vietnam, indicating they are also becoming key transit points, according to an October 2009 report by the Elephant Trade Information System. Deep within the forests and parks of Africa, the source of ivory to China is clear. In Kenya alone, poaching deaths spiked seven-fold in the last three years, culminating in 271 elephant killings last year. The Tsavo National Park area had 50,000 elephants in the 1960s; today, it has 11,000. And at least 10 Chinese nationals have been arrested at Kenya's airport trying to transport ivory back to Asia since the beginning of last year. The Kalashnikov assault rifles slung around the shoulders of Kenyan park rangers are not for animals, but for poachers. It is a dangerous game for both sides: A ranger was killed in a shootout on Christmas Day, and a poacher in a shootout in February. Poachers use guns, rusty metal snares and poison arrows. It's the poison arrows that worry the rangers because they belong to local Kenyan tribesmen. The pastoral tribes that once protected Kenya's elephants are increasingly becoming their killers. "Now the trend is different, because they know they can make quick money out of these trophies. 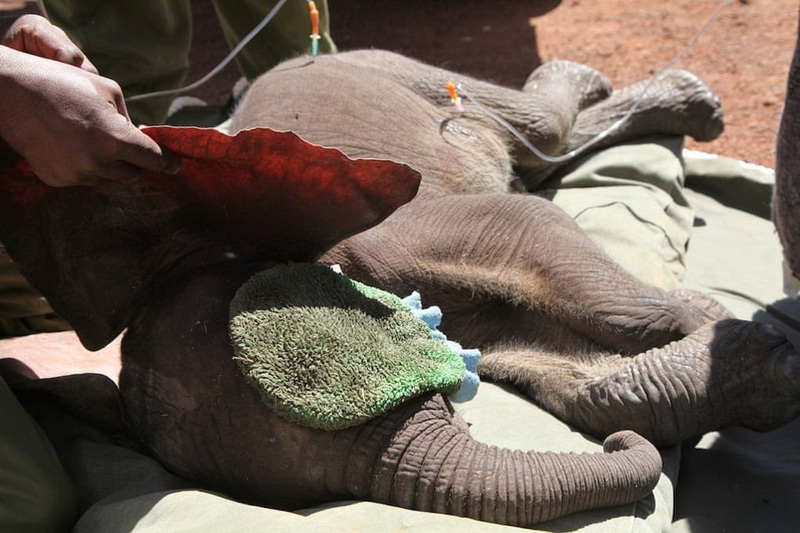 They sell it to the poachers," said Yussuf Adan, the senior warden in Tsavo East. Such a sale can net a tribesman hundreds or even thousands of dollars, a life-changing amount. Last month, ranger Mohamed Kamanya had to cut the tusks out of an elephant killed by a poacher's poisoned arrow. Kamanya says it's like a human death. "Economic interests have surpassed ecological interests," he said. "I think we're in for a serious problem." 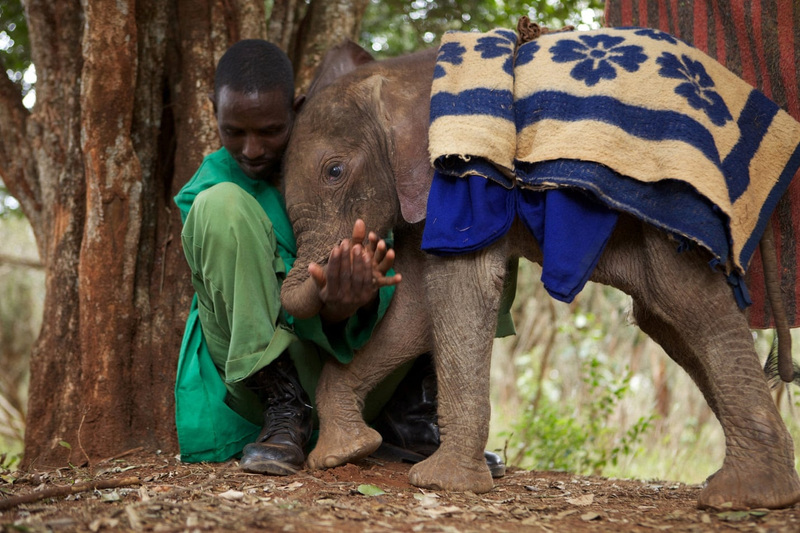 So very sad about all these orphaned baby elephants.. and so mas about poachers..
L'Enfant, thank you, and yes, here too, a deep sadness in pondering all this, and an even deeper frustration in not being able to do something to help African elephants to survive. It's terrible to say this, but if some vast machine capable of sorting out the ultimate moral determinations in the universe -- and of course this statement assumes the folly of supposing there are moral determinations in the universe -- were confronted with the either/or decision, in Solomonic fashion, whether to exterminate the elephants or to exterminate the principal predator which endangers their survival, i.e. the Chinese, I'd hate to have to say which mass extermination I'd rather see happen. Of course, everyone knows and will have seen all this, or doesn't want to, hasn't, won't look. One person who reports being unable to bear to look at the same time reports being able to look without flinching nay indeed with what would be the word for it, admiration? at pretentious pseudo avant garde mystico-psycho-babble disguised as poetry, so everyone's tolerance for unpleasantness must be unique unto said perceiving subject, as the case may be &c.
Brad, the series might help to answer some of your questions re. poaching. It's pretty simple, really. Just another front-end service of our wicked fairy godmother, Global Business. For people to know "intellectually" that it's the Chinese doing the elephants in, for base reasons and by low means, of course helps the elephants not a fig. Up goes the price, up goes the poaching. Down goes the animal, out come the tusks. As the purpose here is not, in fact, to inflict unpleasantness, I elected not to show a closer view of the young elephant whose face was chopped off in order to get its tusks. If you want to see it, you can find it. To be honest, to look at it is a meditative experience. The job had been done by machetes. And in a hurry. Hard work, one supposes, and done raggedly; in terms of surgical efficiency, the cut would have embarrassed your average suburban jihadi-next-door. Anybody who doesn't feel like a motherless child, any more, ought be holding their breath. Yeah . . . the economics of it, I understand, in the same way I do the arch-necessity of a flu-symptom sneeze. I suppose I just mean the blood & the bolts of it -- the monetizing of flesh and bone. No surprise, I suppose, given the brutalization we direct at ourselves. Brad, Of course I knew you understood. I take it what we're seeing here is pretty much the standard capitalist mercantile model at work, with the predictable chain of traders and brokers between the supply side and the consumer marketplace. The additive value in cultural b.s. applied along the way (those "core values" imbedded in the cheapjack bricabrac) is really just salt in the wounds made by the tribal spear in the body of the dying elephant. The swarming presence of Chinese buyers and scouts around import/ export depots and airports in Africa is the lard that greases the chamber of the bounty hunter's gun. The only real problem one can see in all this is, as was suggested earlier -- it may well be that notwithstanding the now proven extraordinary capacity of the Chinese for math, the now proven extraordinary capacity for creature wisdom, not to speak of memory, of the elephant, might have proven a lot more useful to mother earth, in the long run. But of course that's a funny thing about our species, it's not until just after something beautiful and noble is irrevocably lost that anyone stops to wonder if, perhaps, it might just have been not only beautiful and noble, but necessary and esential to everything.